You don’t have to live with migraines! Though thousands of different triggers can cause headaches and migraines, one thing is certain — they happen for a reason. A migraine is the body’s way of telling you something isn’t right. But what you may not know is that what’s causing your migraines doesn’t always originate in or near the area where you feel pain. The good news is that Marin County chiropractor, Dr. Don Harte, can help! 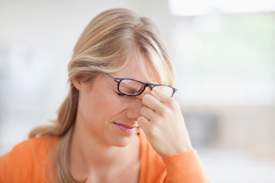 When it comes to relieving headaches and migraines, many approach their condition by simply numbing the pain. Though this may bring temporary relief and help you get through your day, neglecting to address the source of your migraines and treat any underlying causes properly may lead to further deterioration and even bigger problems in the future. Listen to your body! Pain is the body’s way of communicating. Think of it this way—taking painkillers or having a nerve block for headaches is just like freezing the root of an aching tooth. Without correcting the underlying tooth decay, you’re left with a far worse situation! Dr. Harte will address the root cause of your migraines while also offering relief for your pain. Are you ready to get rid of chronic migraines pain for good? Call (415) 460-6527 or book an appointment online today! Take advantage of this special offer and book a consultation with me. For just $170 (a savings of $400 off the regular price of $570! ), you’ll get a comprehensive examination, three kinds of nerve scans, X-rays and my Report of Findings. Where else can you have a doctor who actually listens to you, looks for the cause, prescribes no drugs, recommends no surgery, and gets you well, even from conditions you’ve had for years? Contact us now to take the first step on your journey to wellness and say goodbye to migraine pain.